1943 -- the Year of the Ram. In the Temple of Sublime Truth, high in the Himalayas, a master monk prepares to transfer an ancient scroll to his young protégé. The scroll holds the key to an unspeakable power, one which in the wrong hands could destroy the world. According to prophecy, the young monk will become the steward of the scroll for the next sixty years -- five times the Year of the Ram. But to do so, he must sacrifice everything he has -- including his name. Present day -- the Year of the Ram. It is time to pass the scroll and its secrets on to a new guardian, one chosen by destiny and revealed through the fulfillment of the three Noble Prophecies. 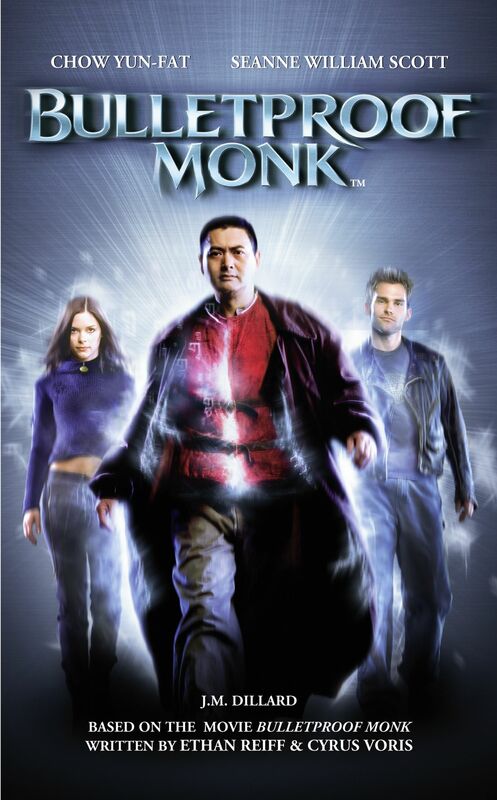 But the bulletproof monk has no students. He's far from home, in another world, another time, and an old adversary from one of history's most evil chapters is closing in. Though he is hunted and alone, fate throws the monk together with a very talented but undisciplined -- and unorthodox -- young pickpocket named Kar. Could this be the disciple he's been searching for? Could Kar possibly have the strength and the will to be entrusted with this task? Can a common thief possibly be enlightened? Maybe -- but they may not survive long enough to find out.